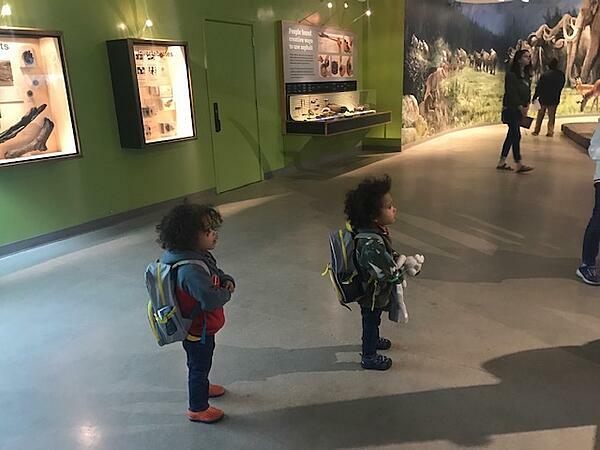 February 2-3, 2019 are free days at museums across Southern California! Where will you go? We had some fun asking Facing History staff and teachers which museums they have in their sights. Mary: I’m finally going to see the Notorious RBG: The Life and Times of Ruth Bader Ginsburg at the Skirball Cultural Center next week. I can’t wait. I’ve been hearing great things about the exhibit, and of course, RBG is regularly in the news both for contemporary actions and recognition of her stands in history. I’m looking forward to seeing if I can trace her development as an upstander. What caused her to take the path she did? At Facing History, we talk often about the small steps which lead towards defining ourselves as upstanders. 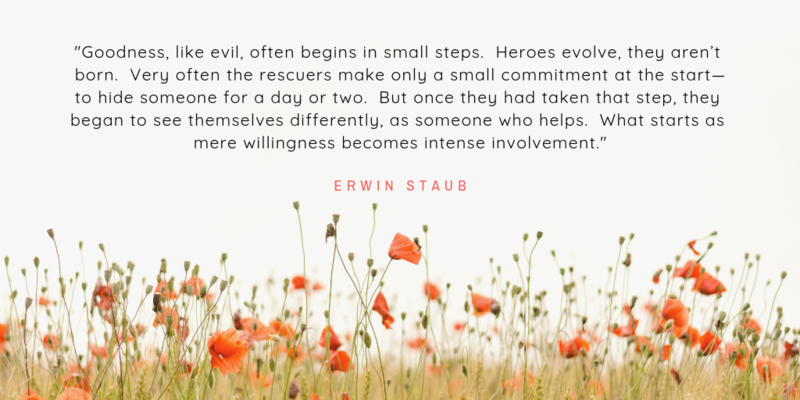 As Erwin Staub found when studying rescuers during the Holocaust, rescuers evolved one step at a time. What were the small steps RBG took as an early upstander that led her towards greater commitment? Jason: One of the last times I was at the California African American Museum (CAAM) was for their exhibit honoring the 25th anniversary of the 1992 Los Angeles Uprising. 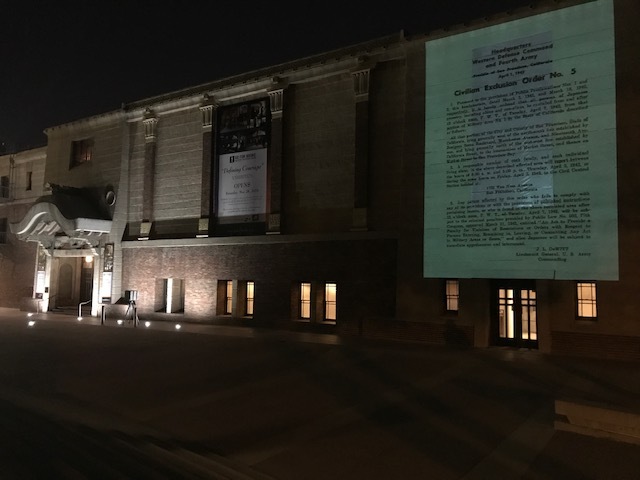 History Curator and Program Manager Tyree Boyd-Pates brought together photographs, videos, historic documents, posters, flyers and other tangible artifacts to produce a powerfully disquieting experience of walking back into history. I’m looking to make some time to see California Bound: Slavery on the New Frontier, 1848–1865 which examines California’s underrecognized involvement with slavery in the 19th century. Upon becoming a state, California had a contradictory and ambivalent relationship to the issue of slavery, and it seems like this exhibit can help illuminate how that played out over time and how it shapes California today. Celina: Los Angeles Museum of the Holocaust is in Pan Pacific Park, and it is the first survivor-founded Holocaust museum in the nation. What makes it unique is that it is a primary source institution that houses the precious artifacts that miraculously survived the Holocaust. I love hearing about how the museum was started, by a group of people that had memorabilia from the Holocaust and decided to put it together in a museum. I have a fascination with objects, and this museum added a very tangible connection to the history for me. There are Torah scrolls and other Jewish religious relics, dolls, flags, and political cartoons by Dr. Seuss. The docents all have a personal connection to the Holocaust and share family photos and stories with the visitors. Merri: Located in the heart of Little Tokyo I never miss an opportunity to visit the JANM. Its main exhibit, Common Ground, walks you through the Japanese immigrant & citizen experience providing artifacts, history and docents who lived this experience. As you walk through the exhibit it is easy to make connections to Facing History’s Scope and Sequence. In addition to Common Ground, JANM temporary exhibits continue to push the visitor to think about about community, identity, civics pop culture and the role of art in our daily lives sometimes whimsical (Current Exhibit) but always thought provoking. Past exhibits that have stayed with me are “Instructions to All Persons” which included Moving Day public art in which reproductions of approximately 80 exclusion orders projected on the exterior of JANM’s historic building that coincided with the date of the orders’ issuance and “What We Carried: Fragments & Memories from Iraq & Syria” highlighting the common thread of violence, displacement, settlement, love, family and home through images and stories. 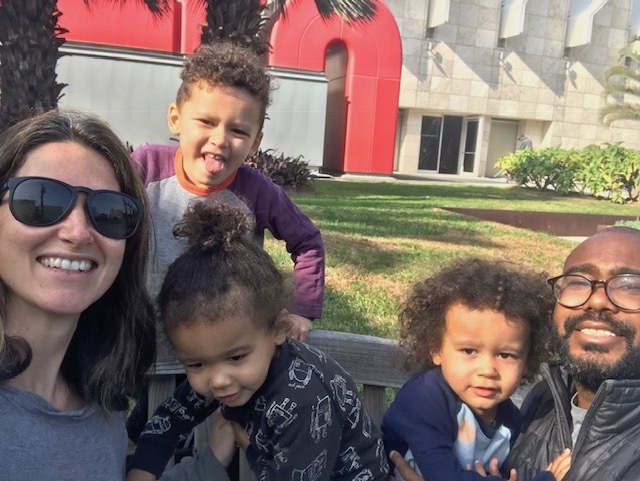 Gayle: My family has visited the Autry Museum many times, enjoying both the American West exhibits for which the museum is known, as well as less traditional experiences, such as a Cardboard Challenge event they held a few years ago to inspire families to build things. In March, I hope to see the exhibit, Indian Country: The Art of David Bradley, in which the artist, a Minnesota Chippewa, confronts an import Facing History theme -- Identity. Liz: Each exhibition I’ve visited at the Annenberg Space for Photography has been more striking than the last. Especially powerful were The Trans List from Timothy Greenfeld-Sanders Identity portrait series, Refugee, and New Americans. I’m eager for both of this year’s upcoming exhibitions, Contact High: A Visual History of Hip-Hop and W/ALLS. The Annenberg Space for Photography is always free! Gretchen: My family visits LACMA and La Brea Tar Pits & Museum almost weekly. We love picnicking on the weekends during the Jazz at LACMA and Latin Sounds events. And during the winter when the outdoor music programs are on hiatus, we tend to visit both LACMA and the Tar Pits regularly still. (LACMA has free youth memberships, and the Tar Pits membership is combined with the Natural History Museum and William S Hart Museum too!) We make watercolor paintings at LACMA, imagine the life that once was LA at the Tar Pits Museum, and always make time to roll down the massive hills.